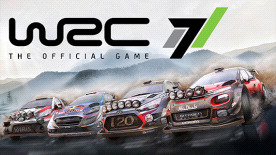 Take on the FIA World Rally Championship's 13 rallies and 52 special stages, with their environments faithfully reproduced. Embody the best drivers in the Championship behind the wheels of their new, faster, more powerful, and more agile cars. Choose among cars from prestigious manufacturers such as Hyundai, Toyota, Citroën, and Ford, perfectly recreated for a realistic driving experience. 55 official teams are available, including a large selection of WRC 2 and WRC Junior drivers. The 13 Epic Stages offer an unprecedented gaming experience with special stages that last more than 15 minutes: the ultimate endurance test for both drivers and WRC fans!